Alpha Wave Movement & Jim Cole - "Bislama" / Alpha Wave Movement - "The Edge Of Infinity" / Open Canvas - "Indumani"
This trio of CDs come from the mind of Greg Kyryluk. Each CD/project has its own personality and motivation. Greg starts melodious electronic ambient music and molds it to match the theme of each project. His inspirations span from early prog like Genesis and King Crimson to Kitaro, Steve Roach, and Nusrat Fateh Ali Khan's collaborations with Michael Brook. Rather than mimicking any of these influences, these projects present their own musical character while paying homage through subtle and original uses of hushed melody, eastern and world influences, and so on. It doesn't take long to see that Greg is a stellar musician who has the skill to convey a broad range of moods and styles through his electronics while restricting himself (for the most part) to the subtle methods of ambient music. The Edge of Infinity is my favorite of the three releases. 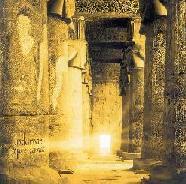 Traditional ambient and electronics dominate the writing style and arrangements on this CD. I've played this album in the background while relaxing and letting my mind wander almost to the point of falling asleep. Songs such as "Monolith" and "Reflective Synapse" are perfect for this approach - they simply wash over you in soothing waves. I've also listened to the CD attentively and found that songs like "Binary Code 51" can hold my interest without dissolving into sonic mush as ambient music of lesser quality often does. The Indumani CD by Greg's Open Canvas project rides the fence between ambient and electronic music. The delivery is never demanding or aggressive even though some songs border on dance electronica. Greg uses electronics to simulate acoustic instruments such as tablas, flutes, sitars, and even voice samples. Traditional ambient synths shadow these "electronic acoustic" passages, so the result is very much in the electronic realm. This is obviously the outlet for Greg's interests in eastern and world music. Songs like "Liquid Shiva" and "Electric Karma" produce an unsettling yet attractive effect by churning out pseudo-acoustic sounds that nearly reach an organic tone. I'm sure this was done on purpose because it is an original and compelling interpretation of electronic/ambient world music. Bislama is a slightly more experimental effort. It carries on the artist's interest in world music by using "a language collage of numerous sources found in the Micronesian Islands." The music is minimalist in comparison to the other two projects. Sweeping synths accompany overtone singing to comprise the majority of the music offered here. The synths strive for a cosmic, gushing effect. The overtones are layers of vocal harmonics that match the slow pace and sweep of the music, so this strikes me as background ambient music. I'm not a big fan of overtone singing, so keep that in mind before making a decision about it. I tend to relate it to a mild feedback sound rather than an interesting effect. There are some more engaging passages on songs like "Theidea" where the music takes a more dramatic role and recalls the style of The Edge of Infinity. I prefer the The Edge of Infinity release for its masterful blend of melody and subtlety, and the fact that I'm more open to relaxing music right now. However, if I were to recommend one release out of the three, it would be Indumani. I would say it is technically the best-crafted release of the three and certainly has the most depth. Both of these releases are worth getting, but I'm not sure I'd recommend the Bislama as highly. 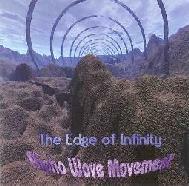 For more information you can visit the Alpha Wave Movement web site at: http://www.alpha-wave.net/. Contact via snail mail c/o Alpha Wave Movement; c/o Gregory Kyryluk; 6526 SW 20 Street; Miami, FL 33155. Indumani is distributed by Waveform records. You can visit their web site at: http://www.waveformhq.com/. 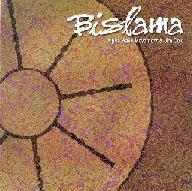 Bislama is distributed by Spectral Spiral Music. You can visit their web site at: http://www.spectralvoices.com/.